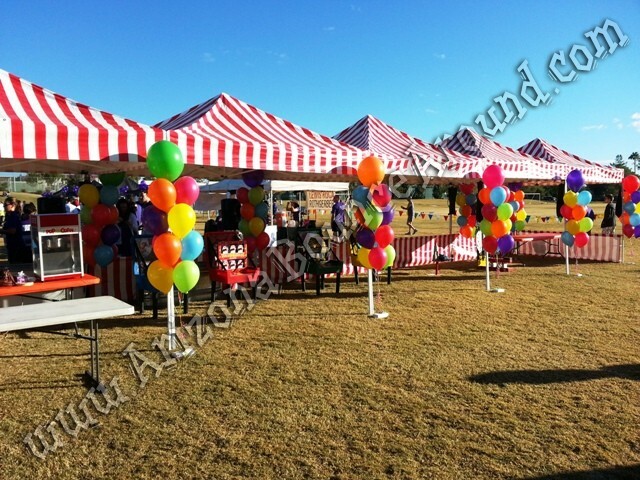 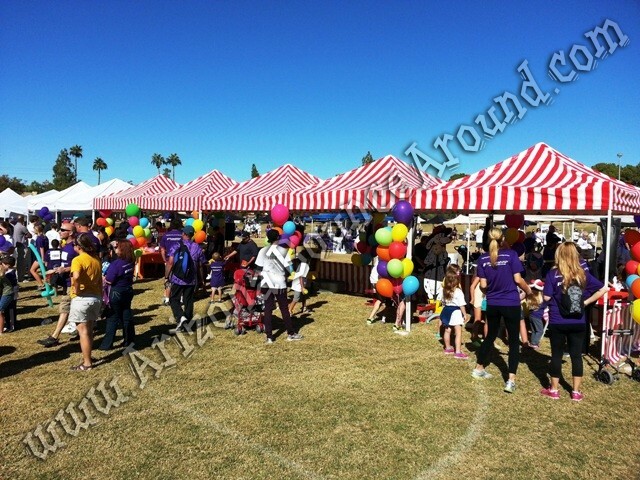 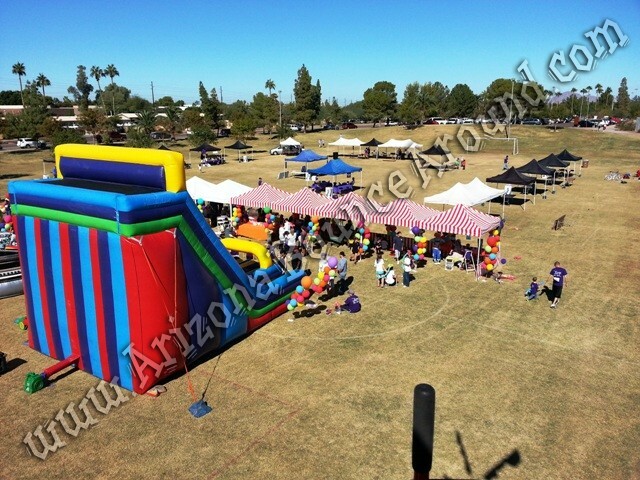 Our professional carnival tents are a must have at any school carnival or carnival themed party. 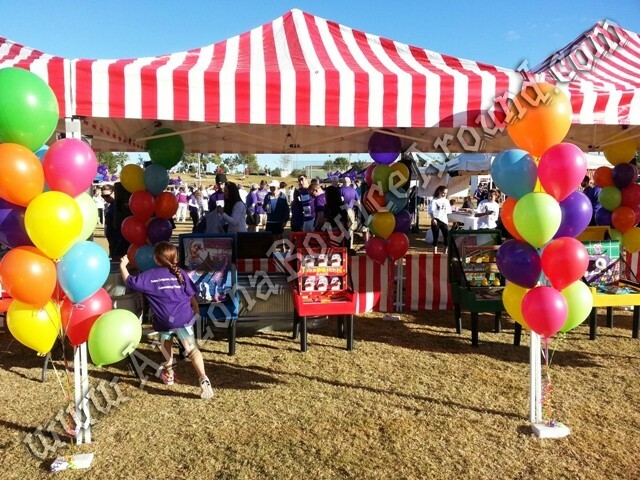 Our carnival tents are 10 feet by 10 feet and come complete with up to 3 side skirts with the same carnival stripes and heavy duty poles that won't fall down making these carnival booths perfect for carnival games that sit on the ground or on a table. 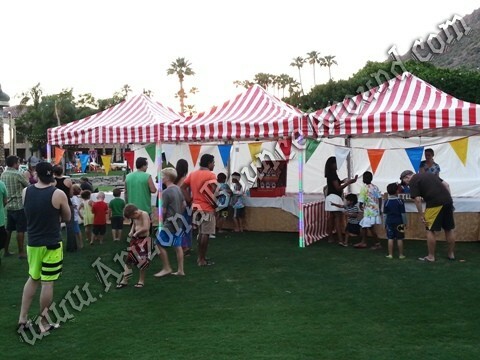 Our Carnival tents are Registered Flame Retardant and stamped to pass fire inspection requirements in Colorado and California. 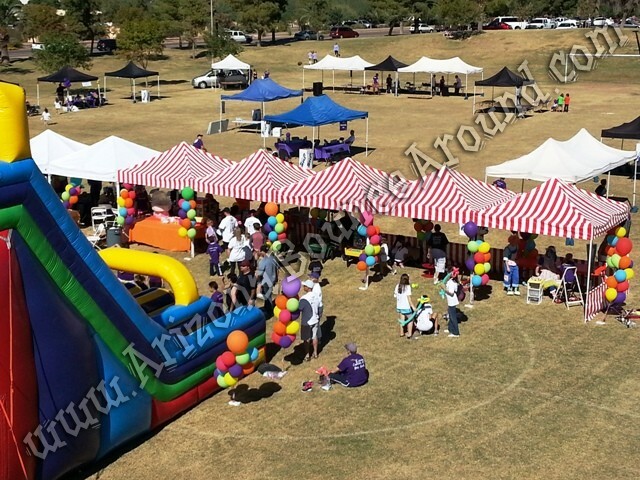 Not all companies rent flame retardant carnival tents but rest assured we have them. 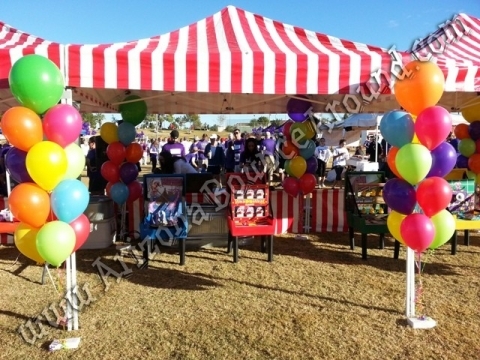 We offer amazing carnival themed backdrops and LED chasing lights for our carnival tents for that amazing look at night. 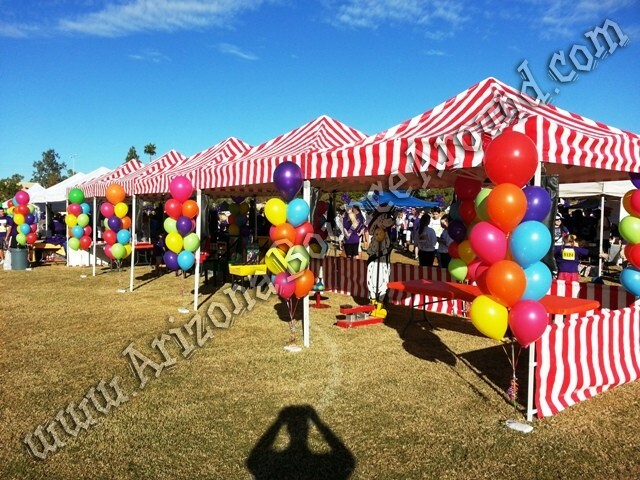 You can use these tents for concession stands or ticket booths and we rent lots of carnival games for kids and adults to put inside. 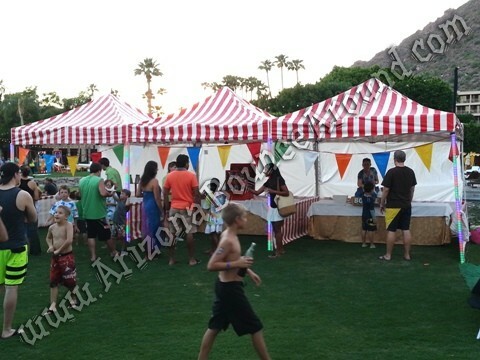 We also rent tables with carnival striped table covers if you want to put the games on tables. 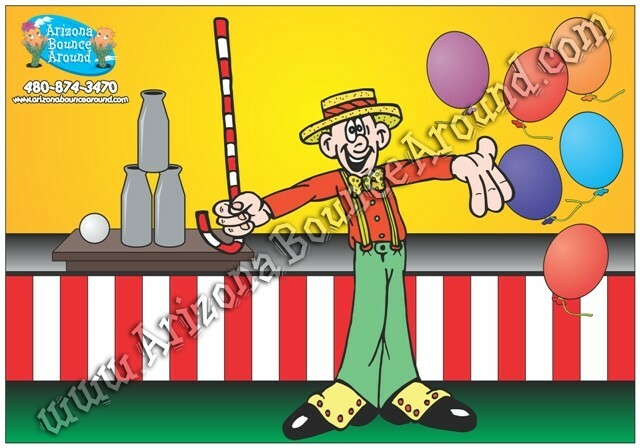 Be sure to check out our Carnival Funhouse Maze perfect for any carnival themed party or event.